I have been wanting to make a pineapple card. I saw a few on Instagram and they have been staying with me. The pineapple comes from Momenta. 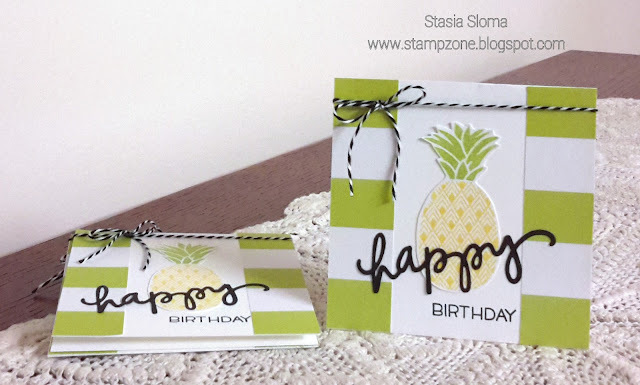 I stamped it in Pineapple Punch and Lemon Lime Twist. The sentiment is a Little Yellow Bicycle die cut paired up with Lawn Fawn Happy. The designer series paper comes from The Paper Studio.